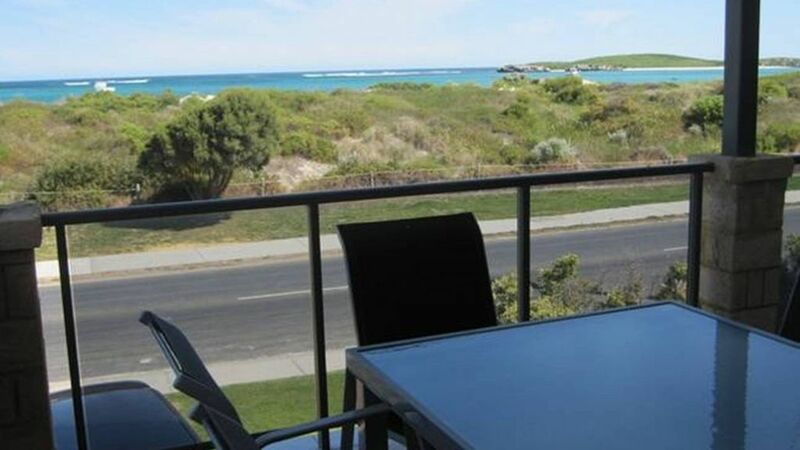 The property occupies a fantastic location in Lancelin opposite Lancelin's best swimming beach, with views of Lancelin Island and the Hole in the Wall and South Passage surf breaks. Surf and windsurf beaches are just to the south and the Lancelin dunes are a few minutes walk away. In addition you are a short stroll (along the beach) from the Endeavour Tavern and the Lancelin Beach Motel . The property is ideally situated to families with a fully enclosed back yard. It's also across the road from a protected swimming beach, children's playground and recreation facilities. There is a separate lounge downstairs with USB TV where the kids can hang out while the adults enjoy the island views from the balcony. This modern property is well equipped and furnished to a high standard and would suit families or large groups. Second LIVING ROOM downstairs adjoining the back garden. Bluetooth Speakers and USB TVs. All doonas and linen supplied. Lancelin has many activities on offer from surfing on back beach or the outer reef breaks, fishing, swimming, wind surfing, 4WD and sand boarding on the Lancelin sand dunes and kayak hire. The latter can be hired directly from Lancelin Beach Breaks. This will get you to Lancelin island where you will see the bird life and seals that inhabit this island. Awesome location, easy to book, arrange keys etc. Thank you for your lovely comments on this amazing ocean view home. Was a pleasure to have you as our guest and we look forward to seeing you in the near future. It was wonderful here I would recommend this place to anyone. Chris the Manager was great we ran out of gas and he fixed the problem immediately. A beautiful view of the ocean from the balcony and the whole of upstairs. Great place to stay and loved the upstairs and downstairs living areas. Great views too. Great location and really set up for family or groups, heaps of room. We had a wonderful time at Endless Summer. The proximity to the beach and and playground made it really family friendly with very special views of the island from the balcony.